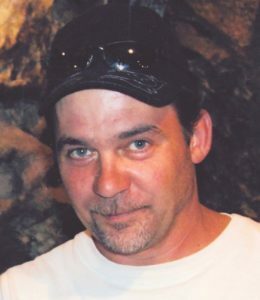 It is with great sadness that the family of Dwayne Donald Pawlachuk announces his passing on Friday, February 1st 2019 at the age of 53 years. He battled the past year with courage and strength despite his illness. Dwayne will be lovingly remembered by his daughter, Alannah Pawlachuk and his son-in-law Andrew Paskell. Dwayne will also be remembered by his mother, Linda Steffen, and his father, Walter Steffen. His brothers Arron (Sharon), Dean (Sherri), and sister Leslie (Dave). Dwayne will always be forever remembered by his numerous nieces, nephews and extended family and dear friends. Dwayne is predeceased by his biological father Denny Pawlachuk and baby sister Cheryl. Dwayne had a passion for music all his life. He enjoyed nature, photography and the outdoors. He had a real artistic gift when it came to drawing, song writing and playing guitar. Dwayne will be sadly missed by his family and friends. We are so sorry for your loss dear Alannah, & Andrew, Linda & Walter, Aaron & Sharon, Dean & Sherri, Leslie & Dave, & family. May the Lord comfort you at this difficult time. We are sorry we will not be there with you but if anyone skypes or records this we would love to hear your memories. He was a very special, gentle man. Love & hugs, Auntie Janice & Uncle Ken & family. My deepest condolences to the Pawlachuk family and friends from N.S. Dwayne had such a great heart and soul you will be missed my friend! There are no words except to say we are thinking of you all and sharing your great sorrow. Dwayne was a wonderful friend to our daughter Elizabeth (Bethy, LIz) from way back in elementary school. We didn’t see Dwayne very often as the kids grew up but he always had a big smile on his face and we were very fond of him. We remember him showing up at our house one Christmas morning, lots of snow, about 27-28 years ago…dressed as Santa….!! What a great surprise for our grandson Kyal – thanks Dwayne! We remember Dwayne as being a cheerful lad. We enjoyed his company sense of humor. He was a pleasant & gifted painter having painted our home twice. Loved his artistic work. We loved sitting around talking/shooting the breeze with him. Mom we all here in Africa Hope House Orphanage. We Pray that you be comforted in Him. In Due time and know we know that life is A journey. My sincere heartfelt condolences to Dwayne’s family and friends. I worked with him at the Coast Hotel for a few years before retiring. He was a great guy! Linda – I am so very sorry for the passing of your son. My heart breaks for you. My thoughts and prayers are with you and the rest of the family.